A positive earnings pre-announcement from Apple supplier Dialog Semiconductor on Wednesday leads RBC Capital Markets analyst Amit Daryanani to believe iPhone sales are set to outperform Wall Street expectations in the December quarter. In a note to investors obtained by AppleInsider, Daryanani notes Dialog pre-announced positive September quarter results on the back of mobile systems revenue, suggesting strong component orders from Apple. Dialog raised revenue expectations for the past quarter to about $345 million, up 13 percent from previous estimates between $290 million to $320 million. Though Dialog failed to delve into specifics, it did say the revenue bump is in part the result of mobile systems orders being pulled forward into the third quarter to accommodate China's National Day holiday on Oct. 1. Apple, which accounts for 75 to 80 percent of Dialog's mobile systems revenue, traditionally builds iPhone approximately 60 days out, meaning the pulled-in orders are likely related to the December quarter, Daryanani writes. Along with Dialog's report, the analyst believes a number of associated metrics point to strong year end earnings for Apple. In particular, Daryanani cites an upside to iPhone ASPs on better than expected preliminary carrier data points, a shift in consumer preference to Apple's flagship iPhone 7 and 7 Plus models, mix-shift toward the larger 5.5-inch model, the Samsung Galaxy Note 7 debacle and an extra week tacked on to the December quarter. 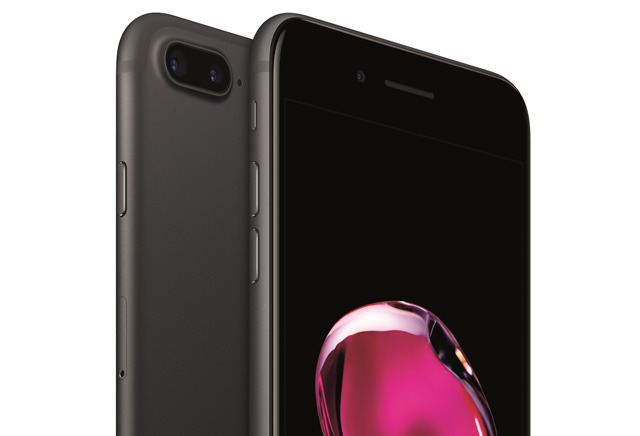 In a recent RBC survey 46 percent of respondents said they plan to buy a 5.5-inch iPhone, up from 38 percent a year ago. Further, more than half of consumers intend to spring for the mid-tier 128GB version. Daryanani said there was fear that users would stick with 32GB of storage, formerly Apple's mid-tier choice which this year becomes the lowest capacity option. Apple makes premium on devices with higher memory allotments. RBC's survey also suggests consumers are replacing iPhones at a steady rate. Finally, about 17 percent of consumers polled intend to purchase an Apple Watch compared to 13 percent last year, while Apple Pay is making strides with usage rates hovering at 24 percent, up from 16 percent just after launch. Daryanani sets a $125 target for Apple stock and estimates the company will take in $47.3 billion in revenue for the September quarter on 44.2 million iPhone unit sales. For the important holiday quarter, the analyst sees $78.7B in revenue on about 79 million iPhone sales.